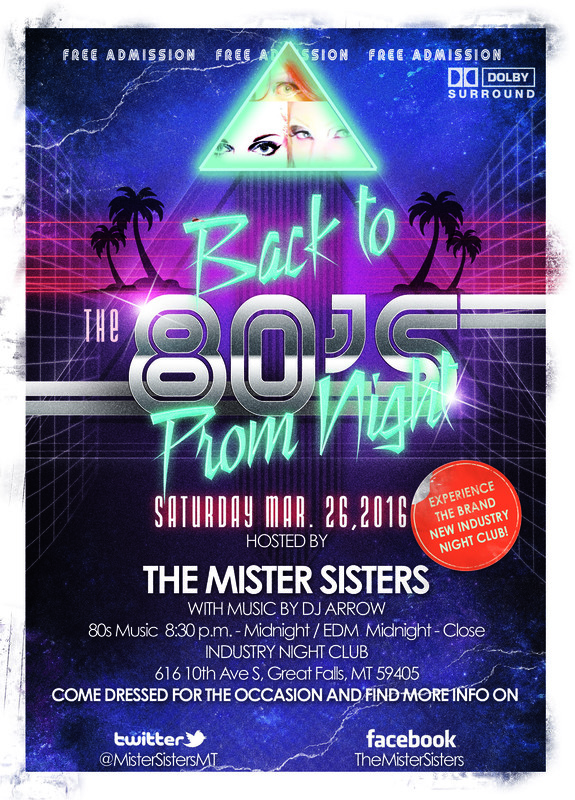 The event: The Mister Sisters’ 1980s Prom! Join your favorite queens for a bodacious night of taffeta, neon, Aqua Net, and oversized shoulder pads at the newest and hottest night club in Great Falls: Industry. If you haven’t been there yet, come dressed in your best 80s prom attire and see the digs. Your favorite Divas will be there to party the night away with you! Drink, dance, play games, and cast your vote for the ever-important prom King and Queen! At The Mister Sisters’ 1980s Prom! FREE ADMISSION. Did we not say it was free before? Because it is. FREE!